Osteoarthritis (OA) is a disease of the synovial joints and is the most common cause of chronic pain in the elderly. One of the treatment modalities for OA of the hip is viscosupplementation (VS). Today there are several different formulations of viscosupplements produced by different manufactures of different molecular weights. The objective of this review is to asses the efficacy of VS treatment of hip OA osteoarthritis in the current literature. The following databases were searched: Medline (period 1966 to November 2006), Cochrane Database of Systematic Reviews (1988 to November 2006), Cochrane Clinical Trial Register (1988 to November 2006), Database of Abstracts on Reviews and Effectiveness, Current Controlled Trials, National Research Register and Embase (January 1988 to November 2006). 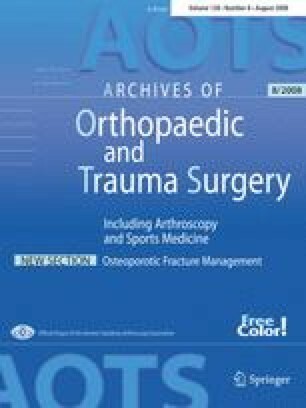 The search terms [osteoarthritis, hip (joint), viscosupplementation, hyaluronic acid, hyaluronan, sodium hyaluronate and trade names] were applied to identify all studies relating to the use of VS therapy for OA of the hip joint. Sixteen articles concerning the efficacy of a total of 509 patients undergoing VS treatment for hip OA were included. Twelve European studies, three Turkish studies and one American study with Levels of Evidence ranging from I to IV evaluated the following products: Hylan G-F 20, Hyalgan®, Ostenil®, Durolane®, Fermatron® and Orthovisc®. Heterogeneity of included studies did not allow pooled analysis of data. Despite the relatively low Level of Evidence of the included studies, VS performed under fluoroscopic or ultrasound guidance seems an effective treatment and may be an alternative treatment of hip OA. Intra-articular injection of (derivatives of) HA into the hip joint appears to be safe and well tolerated. However, VS cannot be recommended as standard therapy in hip OA for wider populations, and therefore the indications remain a highly individualised matter. The authors are grateful to A. van Horssen for collecting the required articles and to N. Vandenhecke for her help in the preparation of this manuscript. No benefits in any form have been received or will be received from a commercial party related directly or indirectly to the subject of this review. No sources of funding were received to assist in this review. The authors have no conflicts of interest that are directly relevant to this study.